Bring out your inner beauty. With Ebony Hair’s creative, professional make-up services, women in Sydney can be their most gorgeous. 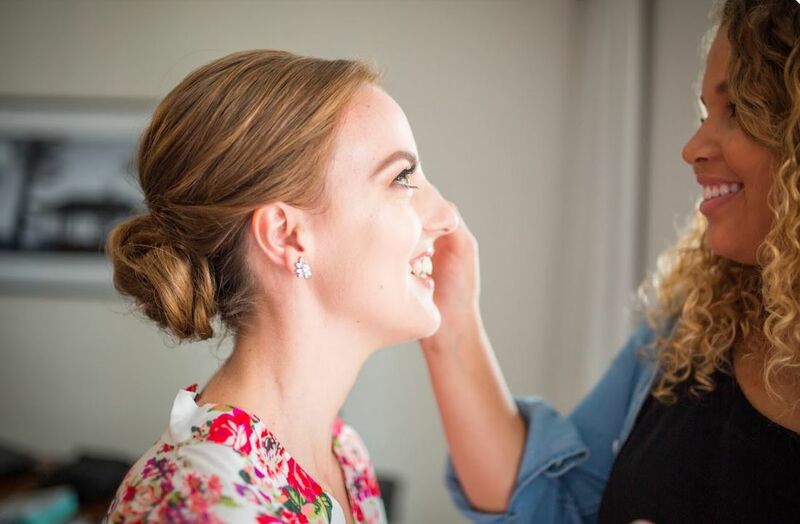 Our makeup artist services clients from Queenscliff to Balgowlah and across the city, getting them ready for events of all kinds. Whether you’ve got a wedding, social occasion, photoshoot, corporate event, or just want to feel that extra bit special for a night out, we’ll work with you to get you a look to match. Not every style suits every occasion, so trust us to steer you in the right direction with on trend knowledge and professional advice. Sydney is a diverse, multicultural city, so we’ve worked with women of all races, ages and skin-types. We tailor our services to work with your facial features and your preferred look. We believe in enhancing your natural beauty; our goal is for you to look like a brighter, more radiant version of you. Combining the latest hair and beauty trends the team at Ebony Hair are able to create the perfect look for your special occasion. From the classic white wedding look to on-trend bohemian styles, our artists can create a huge range of stunning looks. At Ebony Hair, we work with men and women across the city, supporting them with professional guidance to achieve the look they want. Our range of colour, cutting and styling services bring out the best looks for our clients both men and women, and our makeup service will finish off your look for any occasion. Get in touch with our team today to learn more about our range of services. If you’d like to know more about our company or the products we use, don’t hesitate to contact us on (02) 9977 7852. You can also send us a message through our enquiry form or via email to info@ebonyhair.com.au.